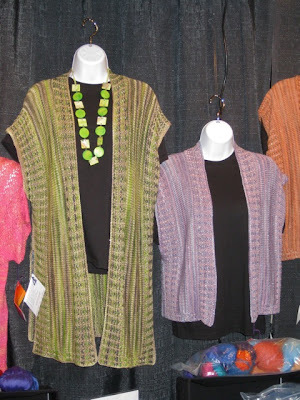 I first saw the pattern for the Spring Violet Vest in the vendor's area at the Reno show. I don't know how many times I went back to the booth, drawn by the samples on display. The booth had many varieties of the vest on display and kits available, but the pattern was not sold individually. 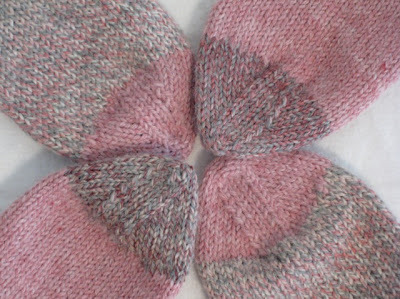 When I returned home, I contacted the company to see if the pattern was available and again was told it was not sold separately, only as a kit. My friend Cheryl must have grown weary of me talking about the vest. Before Christmas she presented me with a wrapped box and said, "This is NOT a Christmas present." I was shocked and pleased when I opened the box to find the vest kit. The vest is knit on size 6 needles, using three different weights and types of yarn: a superwash wool, a soft twist rayon, and a rayon loop. 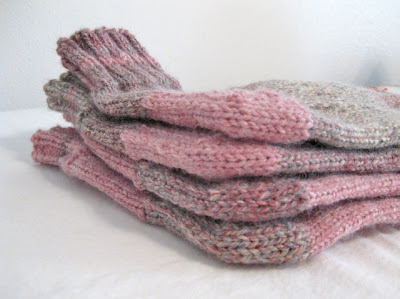 Specifics about the vest can be found on my Ravelry project page. The photo on the kit, and on the pattern show the tunic-length vest, but the pattern itself is for the shorter version - not good marketing strategy in my opinion. 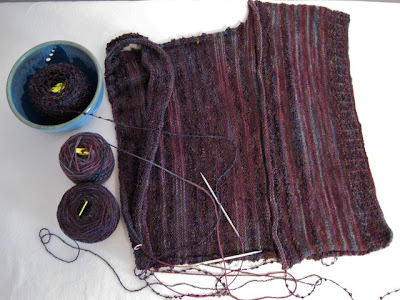 It is an easy pattern to follow, but the rayon loop yarn is difficult to knit. Cheryl, I am still humbled by your generous gift. Thank you! 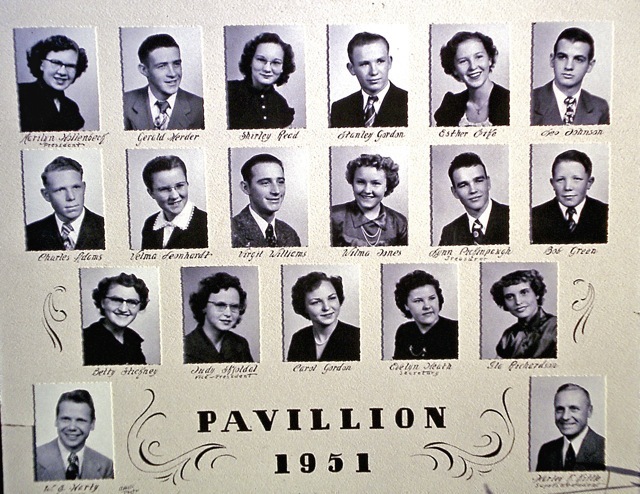 This week, the graduate composites for the 1950s are featured. 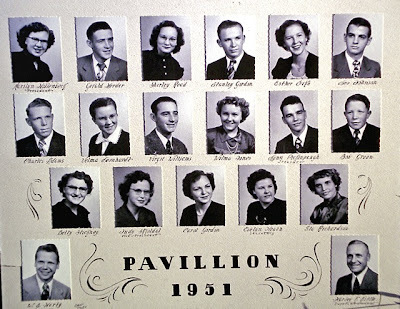 Last week, the 1940 composites were posted. According to Irene Jones' book, Pavillion City, very few changes were made in the school buildings during this decade. Click images to enlarge. Please email any name or spelling corrections or leave a comment. Mrs. Merrial K. Clark (class sponsor) Harley K. Kittle (Supt. 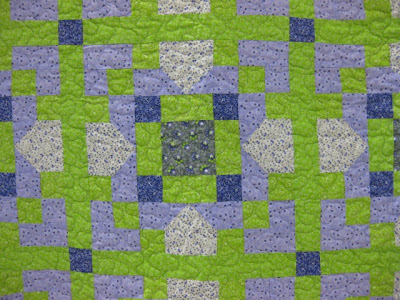 ), Wanda Olson. 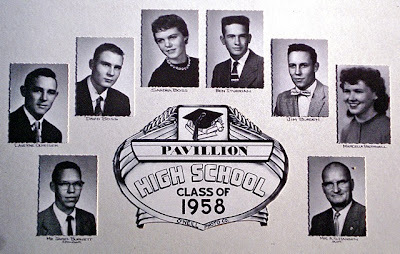 Virgil Williams, Wilma Jones, Lynn Pickinpaugh, Bob Green. Mrs. Stan Clark (class sponsor), Richard Stickney, James Starks. 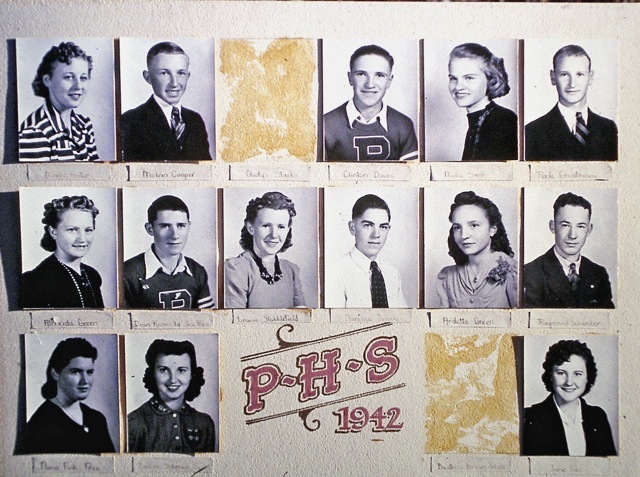 Alice Gordon, Gary Gantenbein, Wilma Olson. David Pince. Bottom: Everett Dudley, Darrell Cooper. 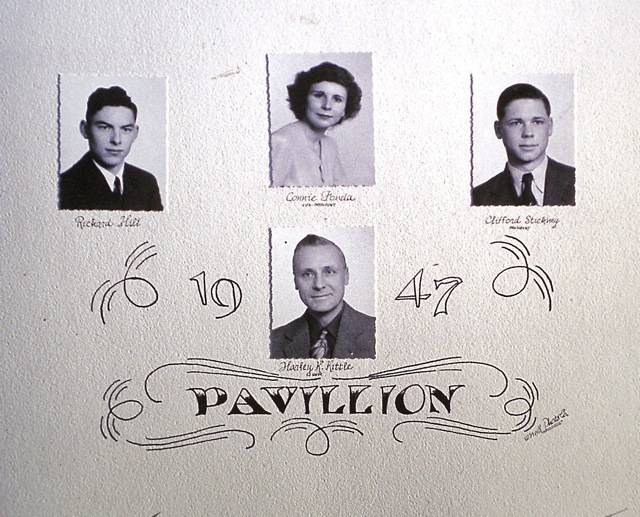 Jerry Wasson, Shirley Ann Watters, Harold Rockney, Alvin Olson. Mr. A. Hansen (Supt.) Sara Jo Maxey. Phyllis Newbrough, Mr. Hansen (Supt. ), Eugene Butler. Mr. Hansen (Supt. ), Larry Pickett, Jeannie Knight. 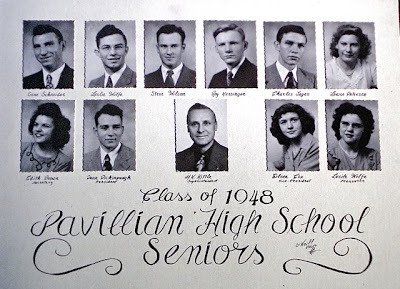 Next week, the last decade of Pavillion High School graduates will be posted. that divides yesterday from tomorrow. In that lies hope. Marilyn called a couple of weeks ago and asked if I wanted to sew and Skype. Since I had these cases ready, I joined her. We gabbed and sewed for nearly two hours via Skype. 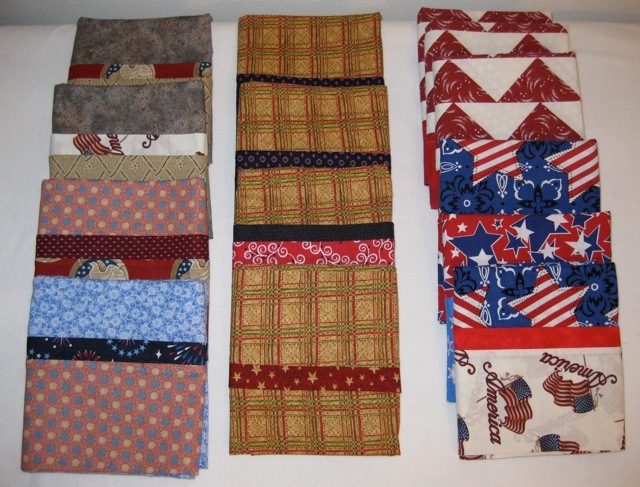 The cases were made from odd bits of fabric and leftover binding (for the trim). 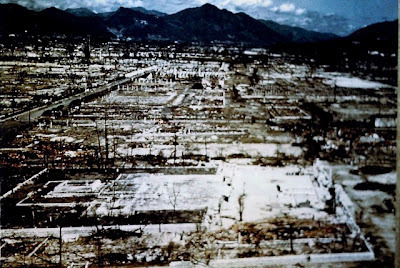 According to Wikipedia, within the first two to four months of the bombings, the acute effects of the bombs killed 90,000–166,000 people in Hiroshima and 60,000–80,000 in Nagasaki, with roughly half of the deaths in each city occurring on the first day. Those who survived the blast(s) suffered radiation illness, cancer, and disfigurement the remainder of their lives. Survivors' stories can be found here. 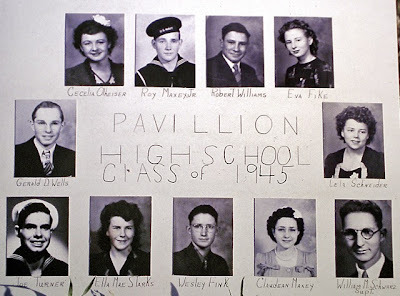 Like all wars, World War II changed the world in many ways, and individuals from all the countries involved suffered greatly, directly and/or indirectly. I am an idealist, but sadly an ideal world does not exist. 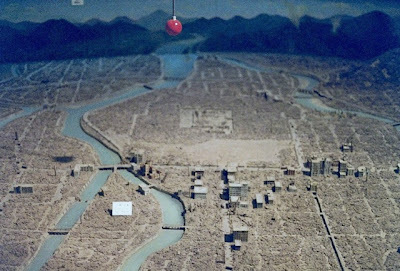 I've studied history and understand why the United States bombed Japan; however, I saw things from a different perspective at the museums in Hiroshima and Nagasaki. My idealism was suddenly faced with reality, and my emotions covered the whole spectrum in the blink of an eye. 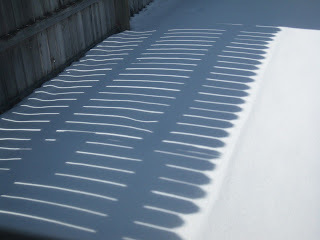 In 2011, I watched in horror as the tsunami surged ashore in Japan. To me, the destruction was eerily similar to the aftermath of the atomic blast. 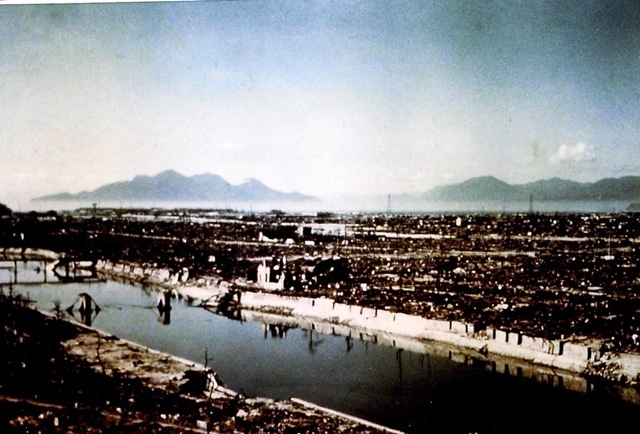 I cannot imagine a country having to rebuild itself from something as devastating as not one, but two, atomic bombs (one was dropped on Hiroshima and another one was dropped on Nagasaki three days later) as well as a tsunami. I admire the tenacity, resilience, and grace of the Japanese people. More photos of Hiroshima and its museums will be featured in future Foreign Friday posts. These children were so happy and carefree the day I saw them on the beach. I wonder if they are still friends some 37 years later. 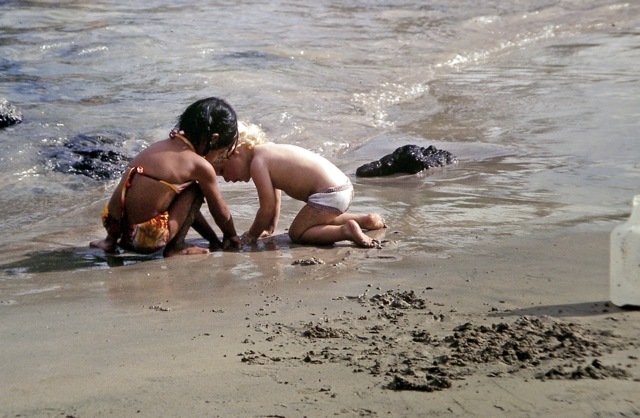 Are any of your childhood friends still a part of your life? 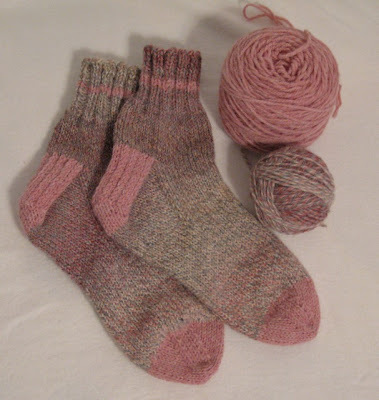 I had fun knitting these worsted weight socks: they were quick knits on large needles and will make great house socks. 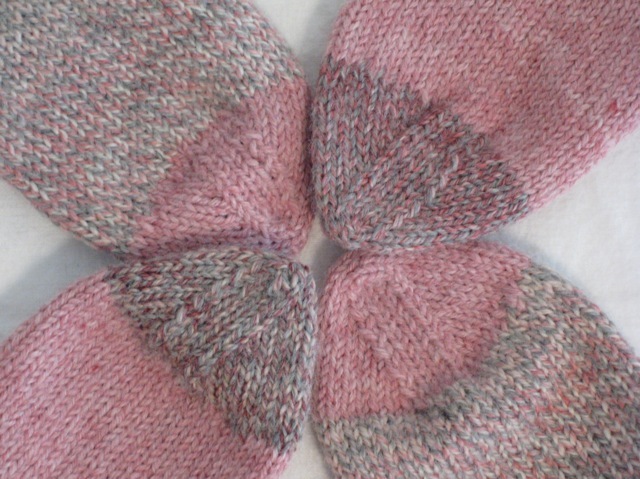 The fun didn't stop when they were off the needles. I couldn't resist having a photo shoot with them, too. 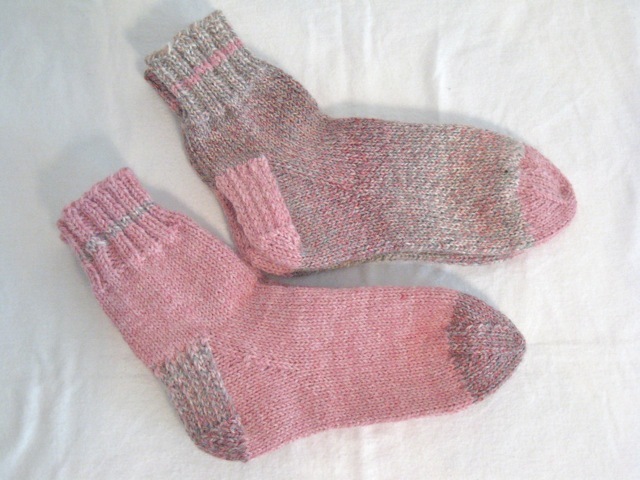 Knitting details are on this previous post, entitled February Socks. 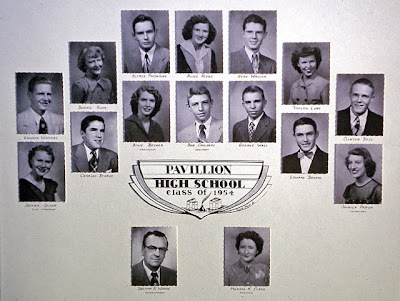 I've written about the consolidation of the Pavillion and Morton school districts in a previous post. 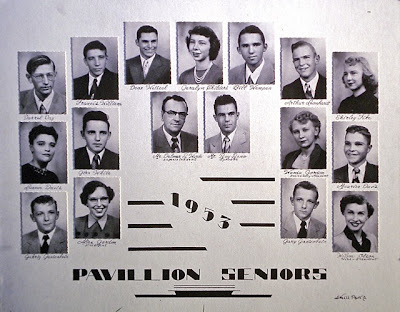 Even though the issue was an old one (talks started in 1938) it never got past the talking stage - a strong rivalry existed between the schools - until it came to fruition in 1969. 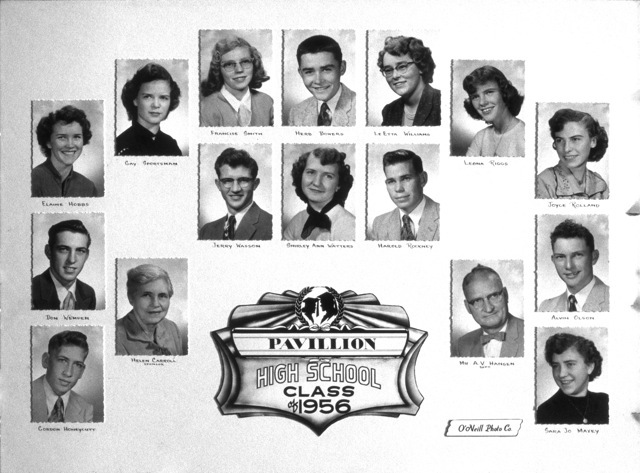 The last class to graduate from Pavillion High School was 1969 (my class), and the Wind River School District was created. In the mid 70s, I was approached by the Karen Gabrielsen who had organized the Pavillion Alumni Association. 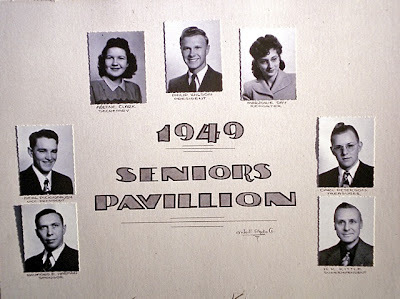 She said the large composite photos of the Pavillion graduates were being taken down by the consolidated Wind River school and possibly being discarded, so I agreed to photograph the images for the Alumni Association. We hurriedly propped the large composites outside against the side of the building, and I began snapping. 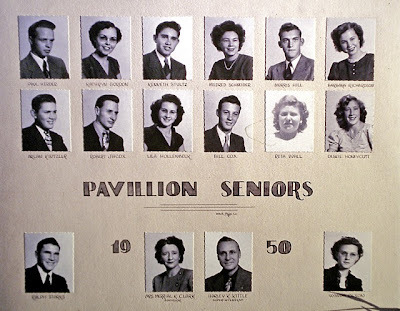 In my haste, I did not notice that on some of my photos, the graduates names are not clearly visible. Thankfully, the composites were never discarded, and several years later, the school decided to remount and preserve them. 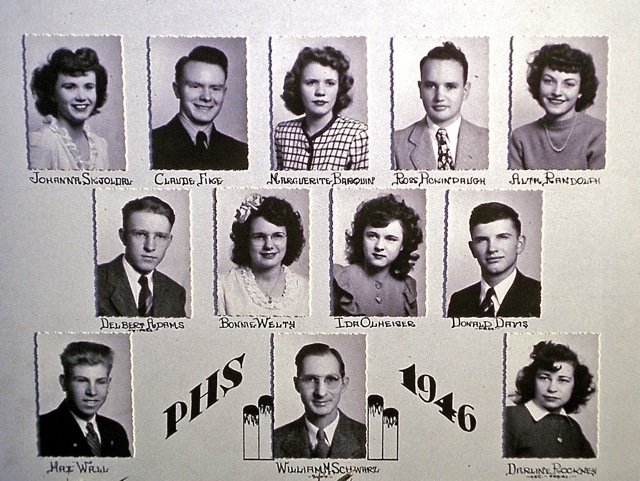 Today, the composites from Morton and Pavillion High Schools can be seen in the Commons of Wind River High School. In the coming weeks, the photos will be posted here to preserve them online, as well. Please email me with any name or spelling corrections. As always, click on the images to enlarge. Louise Stubblefield, unknown, Ardetta Green, unknown. Bottom: Nina Fink, Darlene Schmuck, Beatrice Brown, June Fike. 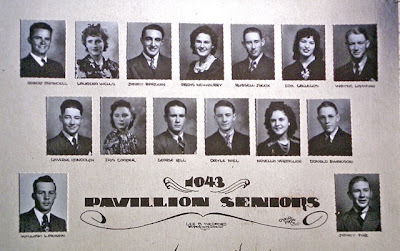 Although I couldn't find any information on the Class of 1944, I believe graduation was suspended due to World War II. 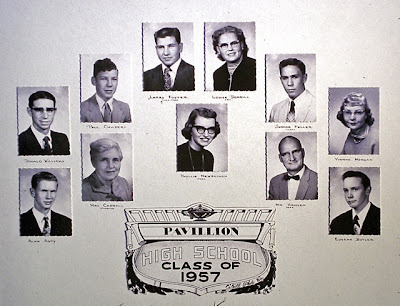 Does anyone have information about this class? Top: Cecelia Olheiser, Roy Maxey, Jr., Robert Williams, Eva Fike. Throughout her book Pavillion City, Irene Jones gives details about the history of the Pavillion School District #32. The following information was taken from Irene's book. 1935 (76 pupils and 20 more expected because of pending irrigation project.) The town petitioned the State for emergency funds to hire another teacher. The teacher's salary was funded by private individuals and loans. The teacher was paid with warrants that could only be cashed if money was available. 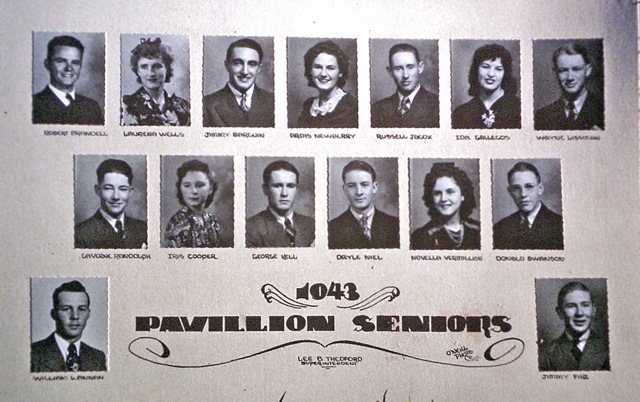 1938 (252 students. 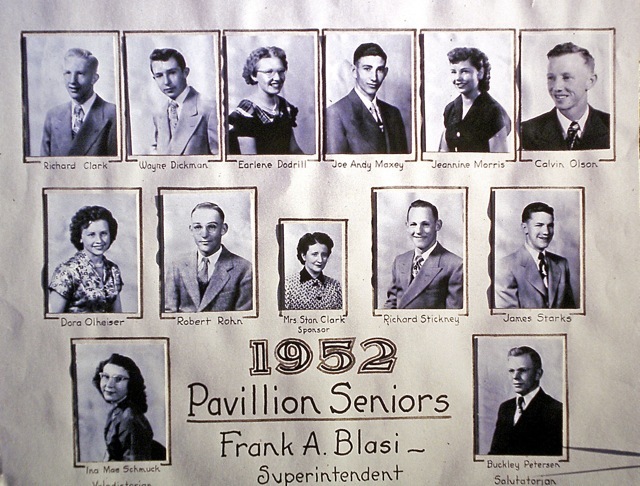 Up to this time, the community funded the school, but the enrollment was growing so much teachers' salaries could not be adequately and consistently funded. The state came through with $5,500.00 relief funding since the the irrigation project was bringing families with children into the area. 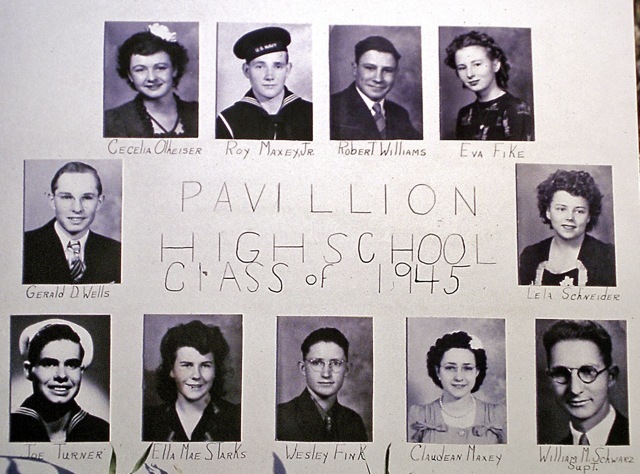 WPA funds began to pay teacher’s salaries of $125 a month. H.K. Kittle (Supt.) Eileen Cox, Lucile Wolfe. Top: Arlene Clark, Philip Wilson, Marjorie Day. Center: Neal Pickinpaugh, Carl Peterson. 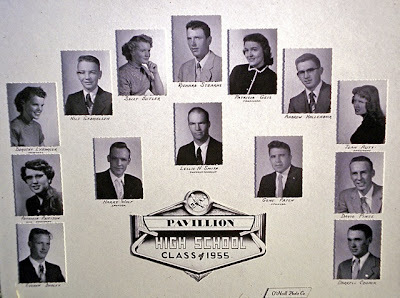 Composite photos of Pavillion High School graduates from the 1950s and 1960s will be posted soon. I had the privilege of starting an Oddball baby blanket for the group and decided to begin a "boy-friendly" blanket since the group tends to knit more blankets for girls. 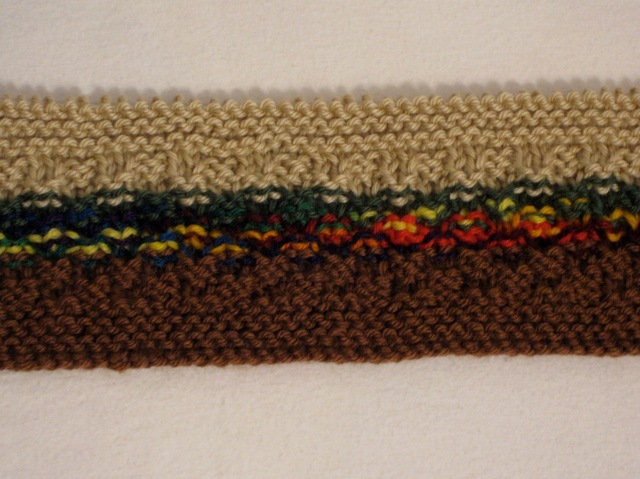 Stitch pattern: Garter stitch on the ends and Box stitch in the center. One of the most emotional tours I took while in Japan was in Hiroshima, the site where the first atomic bomb was dropped; thus, ending World War II. Photos from those tours will be posted in the weeks ahead. 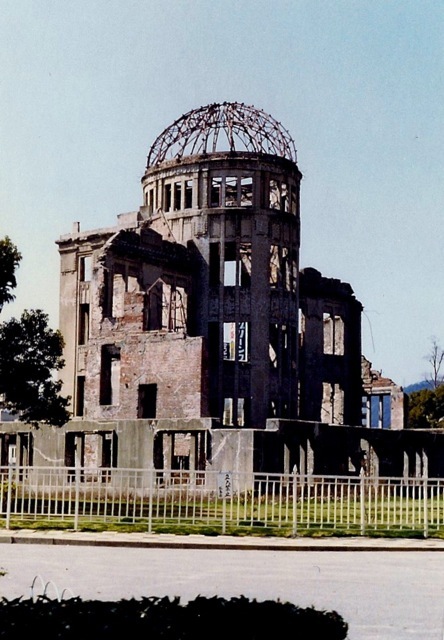 At 8:15 on August 6, 1945, Little Boy — the first atomic bomb to be used in war — detonated almost directly above the dome (shown the the photo above). 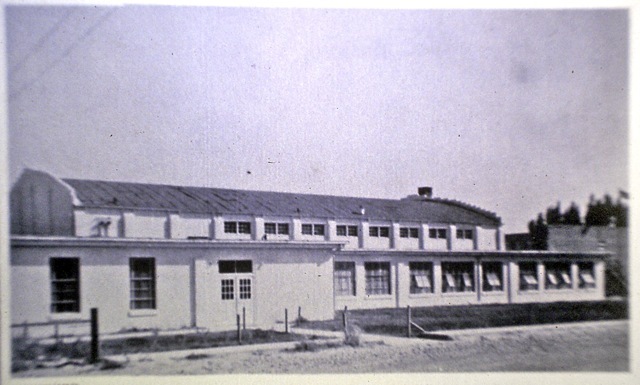 The building's vertical columns were able to resist the nearly vertical downward force of the blast, and parts of the concrete and brick outer walls remained intact. The center of the blast was displaced 490 feet (150 m) horizontally and 1,968 feet (600 m) vertically from the dome, having slightly missed the original target, the distinctive "T"-shaped Aioi Bridge. Everyone inside the building was killed instantly. 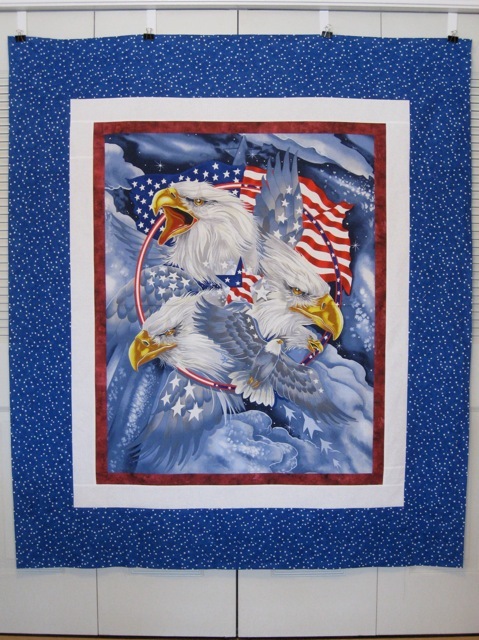 During the Superbowl, I worked on these two Quilts of Valor: the eagle panels were purchased at Country Traditions in Fremont, NE. 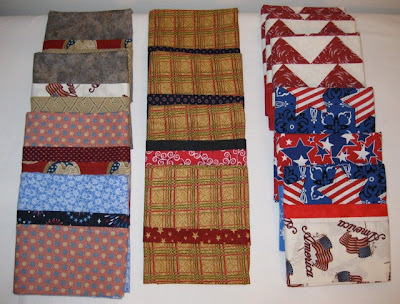 The shop has a great selection of fabrics and a very friendly staff: Marilyn and I had a lot of fun shopping there. These two quilts were sent yesterday to Donna S. in Longmont, CO to be quilted. 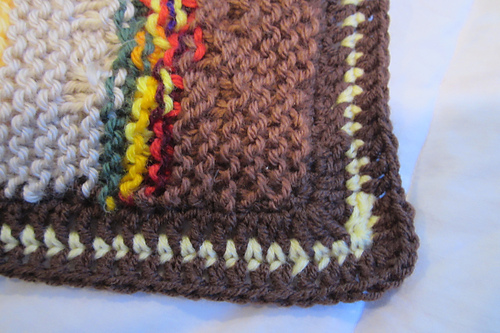 After I attach the label and the binding, they will be sent to Alycia C. for distribution. I made a quilt from this panel last year, too. It was called Eagle's Flight. 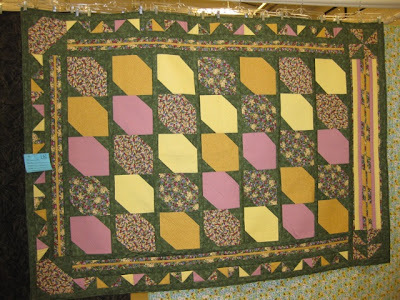 Alycia, Colorado's QOV coordinator, showed these two quilts in today's blog post. 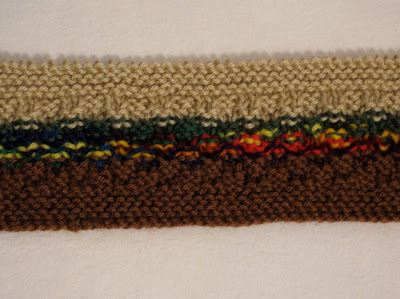 Remaining yarn for another pair with reversed color placement. The first weekend of February, the Wyoming Star Quilt Guild held their winter show in Riverton. 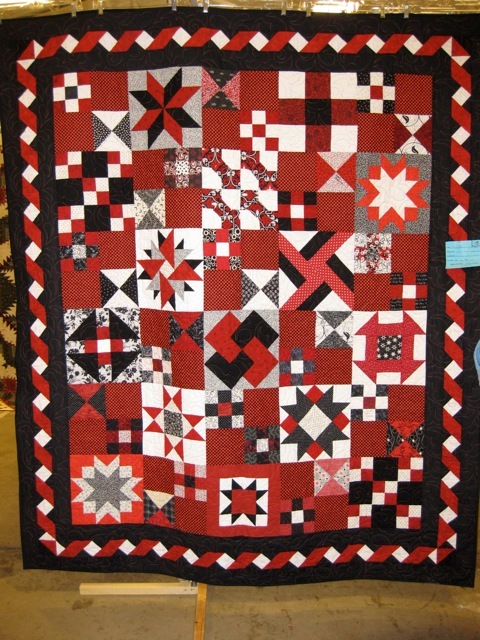 It was fun to see all the quilts (many more than years past) on display. I got so absorbed in the displays that I didn't take too many photos, but posted here are the ones that I did photograph. 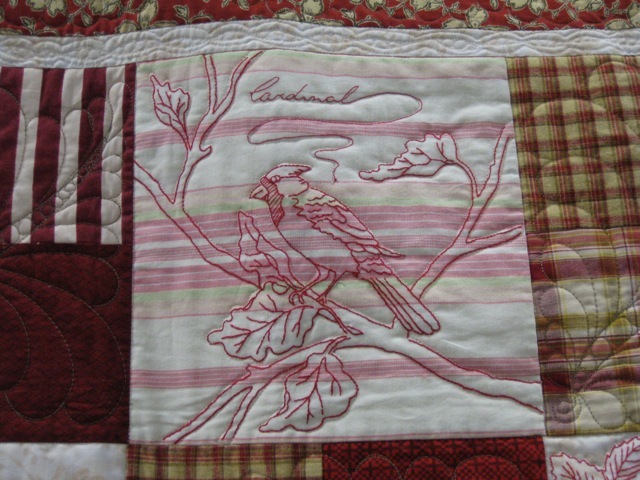 It was the embroidered birds that caught my eye. Notice that none of the birds are embroidered on solid fabric - a fun twist on a traditional redwork quilt. This block intrigued me. Does anyone know its name? A great sampler quilt and a stunner. I love the border. (shown on the left and right in the photo) are totally different. 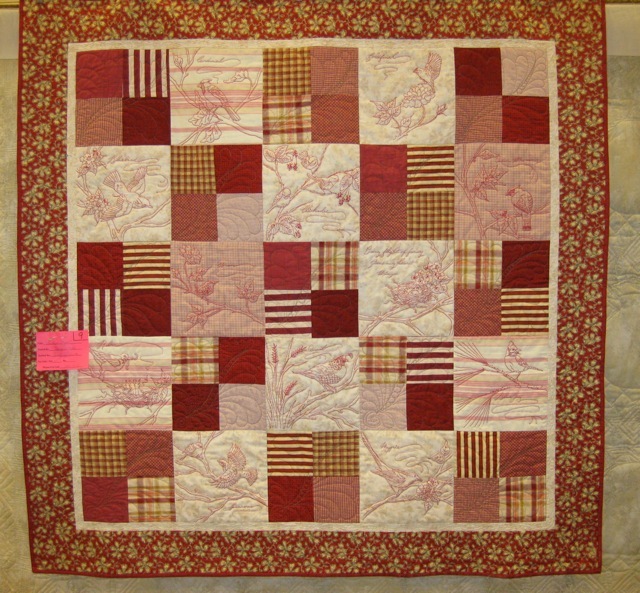 Again, I missed catching the quilter's name. This quilt was stunning, and I am kicking myself for not taking a photo of the complete quilt. 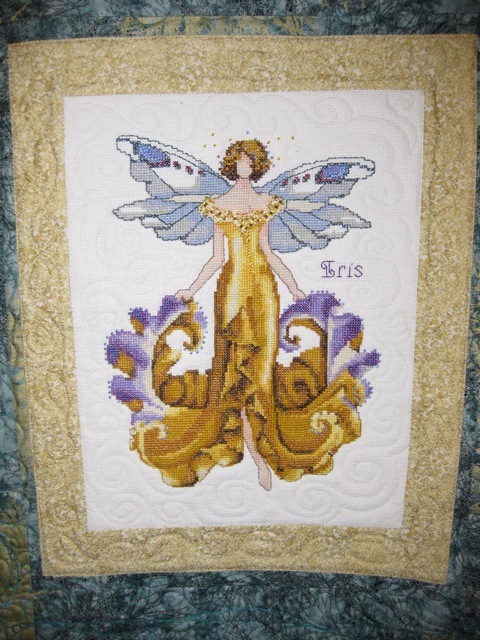 There were twelve cross-stitch fairies. 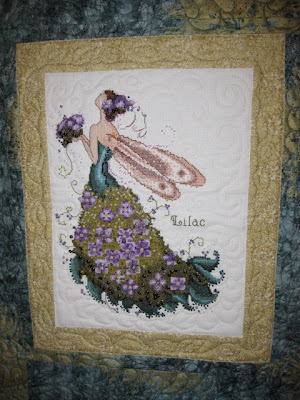 Look close to see the extensive beading on the dress and wings. 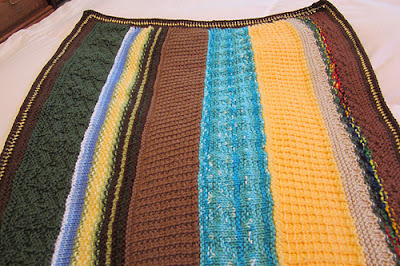 Note how the sashing fabric subtly frames the piece with bits of gold along with the teal. Of course, I wandered through the vendor and silent auction area and found a few items. 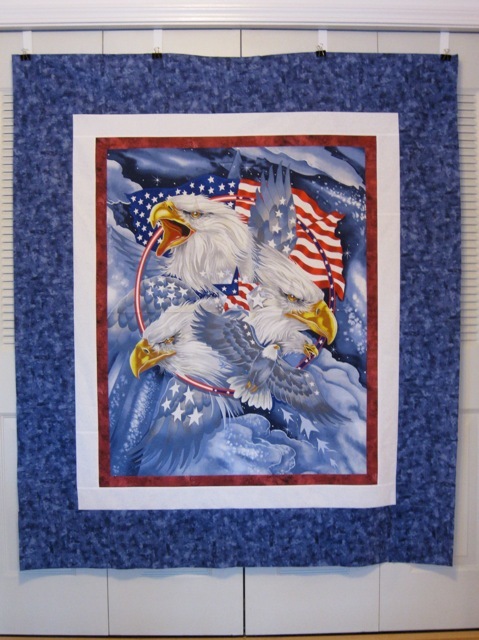 I was the winning bid on a quilt kit that will become a Quilt of Valor. 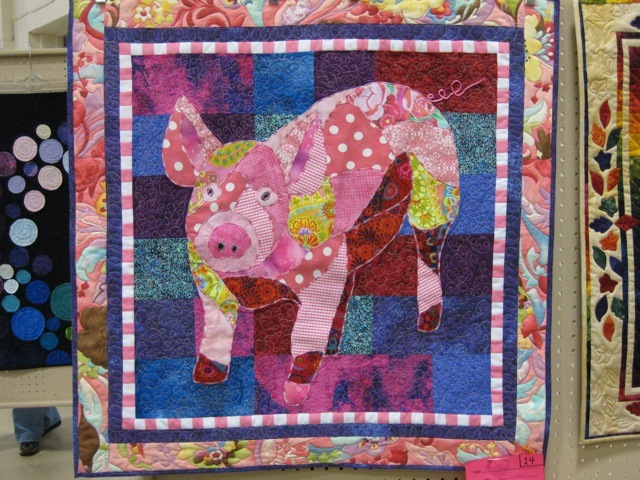 Kudos to the Wyoming Star Quilt Guild for another successful winter show.